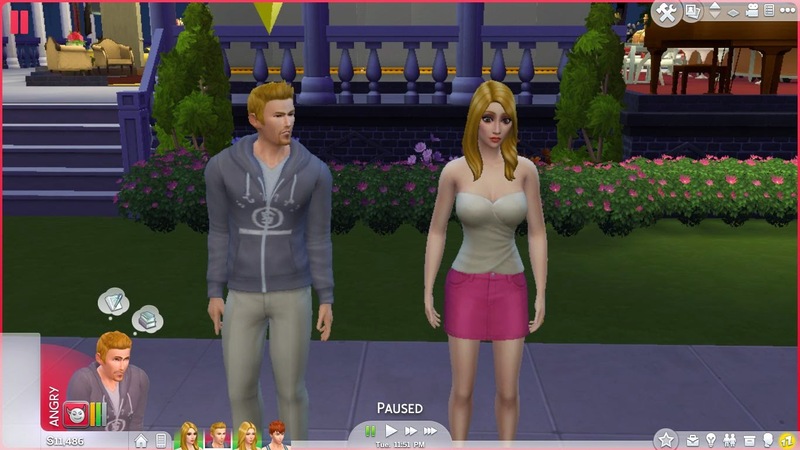 I always share little new features,tips and tricks while playing Sims 4 in kind of story telling manner in my Sims 4 gameplay posts.As for today this post is going to reveal how I achieved gold level in my 1st Sims 4 date with rejected flirtatious behavior,no kiss and negative emotional state.I didn't put all these states in my Sims' life to experiment rather this situation happened automatically.It's one of the weirdest date I experienced in my whole Sims series playing. Continuing from my last post (to read the last post click here) where Laura lit up the mood of Alex.Laura then went off to her work and Alex went to have a chitchat with the girl next door Annelisa.Meanwhile Jeff and Jennifer were coming close to each other. 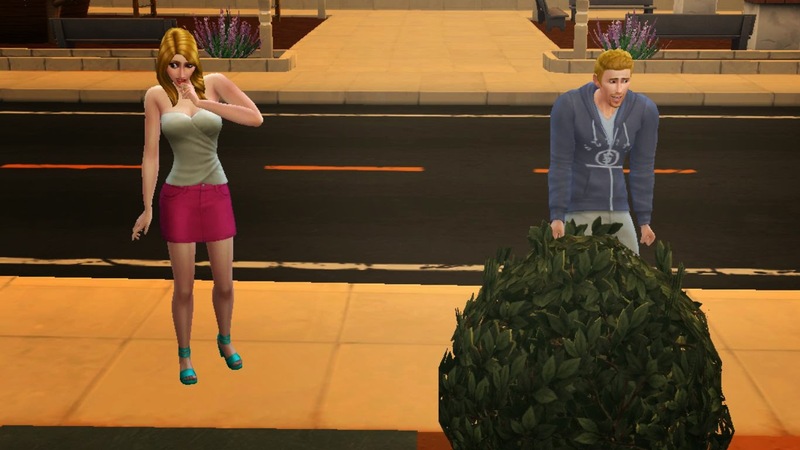 At last this time they didn't feel awkard to flirt with each other and then run to hide under the bed out of embarrassment.A romantic relationship had finally started between them. 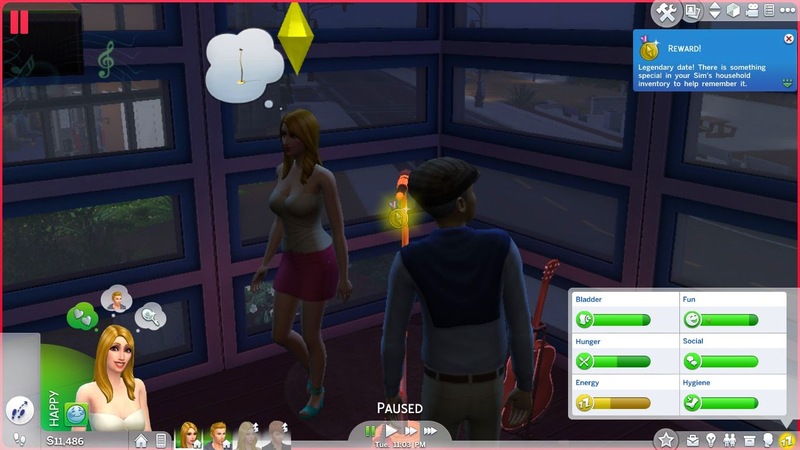 Laura came back home with a promotion in her job.She saw the budding romance between them and felt happy when she heard Jeff asking Jennifer out for a date. They're feeling flirty until they reached a lounge in Oasis Spring and then suddenly started to feel awkward as if they were not ready for the date.But they went to date on their own and I didn't push them to that.This occasion won't occur without the proposal and agreement between them.I think my Sims are cracked totally. 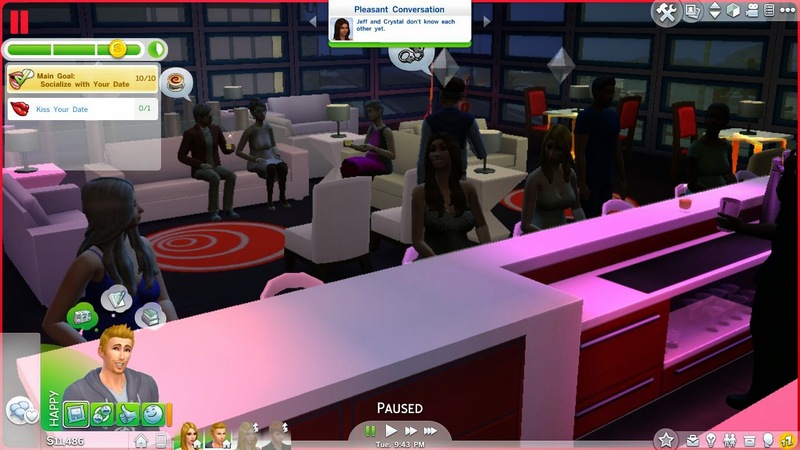 However they didn't run for home,they went to the lounge where a comedian was entertaining a bunch of Sims with her jokes. Main goal of the date was to have at least 10 times socialization between the Sims dating each other.Primarily there are three side goals along with the main goal.A new side goal may replace the previous one after completion.The main goal remains fixed. 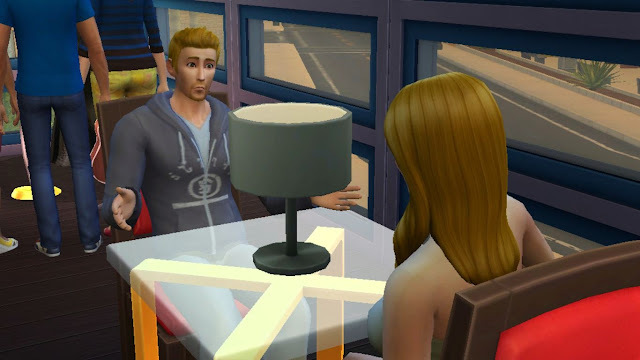 One of my side goals was to have Sims sit and talk to each other.So,Jeff and Jennifer sit at a table together and started chatting.My next side goals were to have flirt between them 3 times and have dirty jokes 3 times between them.I easily accomplished the second one but when Jeff flirted with Jeniffer she rejected it probably for her not being in the mood this time. 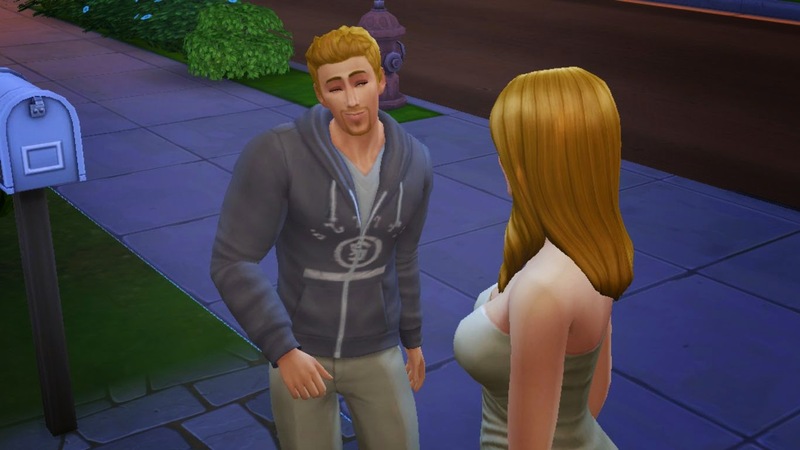 Look at his face,he is confused like ''Wasn't she okay with it an hour ago?" 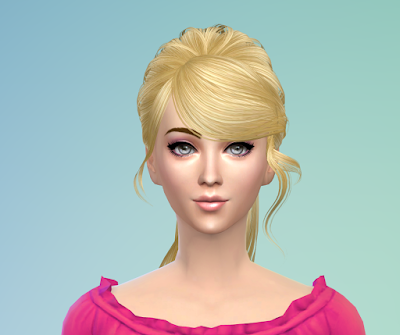 But I accomplished that side goal too with little flirtatious actions like a blow kiss under romance category.Also,an interaction gets counted if it complies with the main goal regardless of its rejection or acceptance between the Sims. I didn't go for the kiss as it would get rejected and seriously hurt their relationship at that moment.I achieved the gold medal however without the kiss and the flirt interaction.It became a legendary date. And the weirdest part of the date is that Jeff was feeling angry when returned home after having a legendary date with his romantic interest. 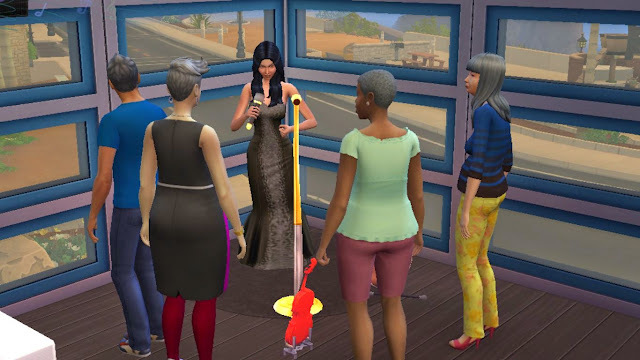 Completing side goals will not only converse towards the main goal but also give additional points which help you quickly achieve the gold medal.But if you choose socializing options that will contribute to the main goal but are not included in side goals chances are high for you to end up with a silver medal after accomplishing the main goal with them. 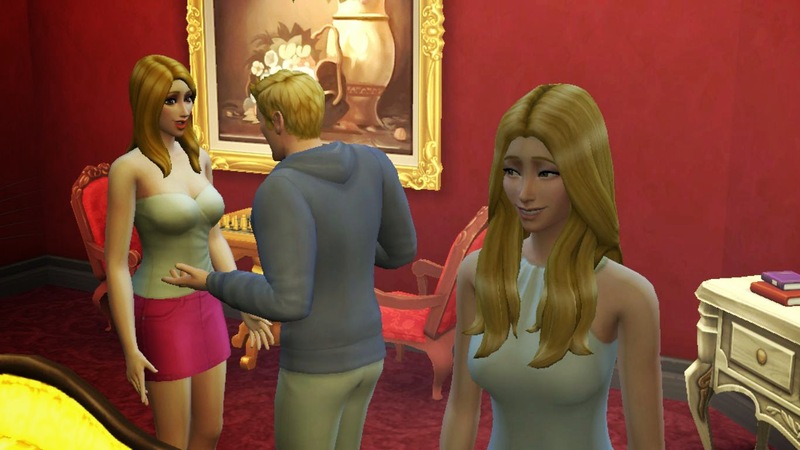 Did you experience your Sims doing weird actions during their date? If so then please share in the comment section of this post about your Sims' date.You can share from your current Sims 4 game,even from Sims 2 and Sims 3 also.